Make Your Brand Stand Out In 2018! 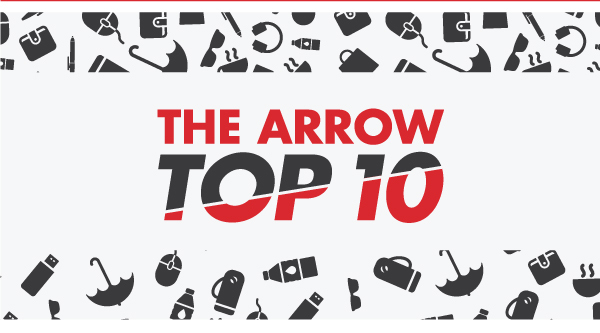 Check out Arrow's top 10 promotional product ideas for your next employee or client gift, company branding needs, event giveaways and more! This backpack is the perfect gift for your employees. 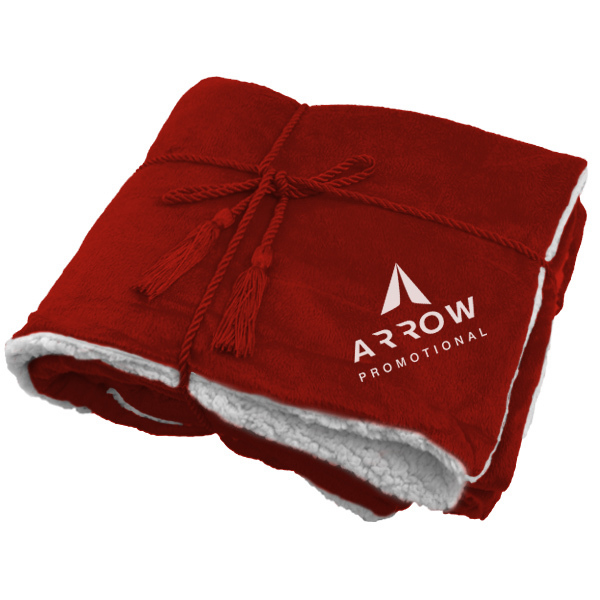 It is a great onboarding gift alone, or filled with other branded swag. 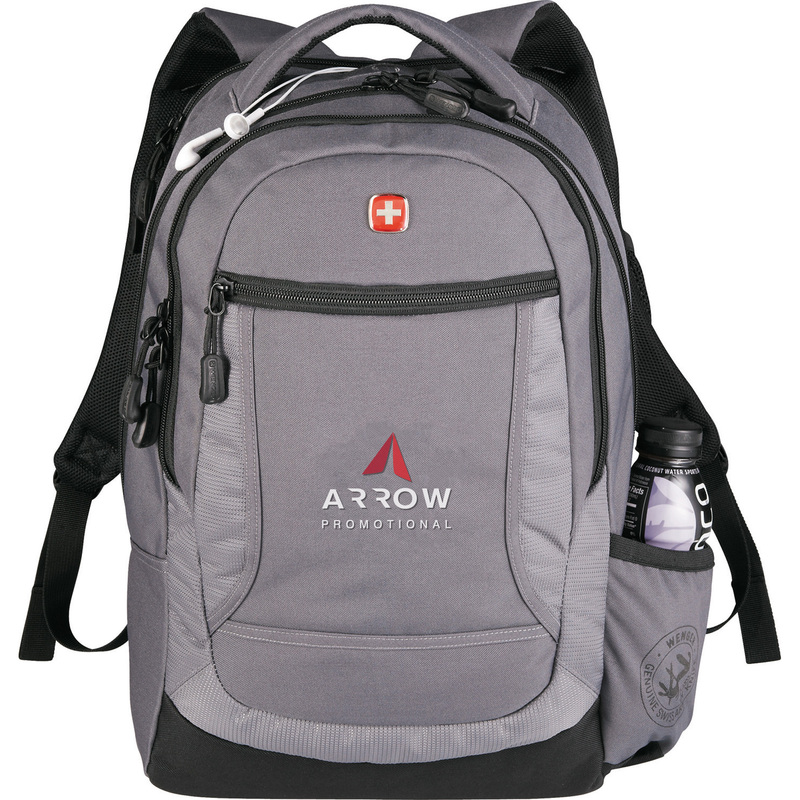 It is an especially useful gift for employees who will be doing a lot of traveling on the job. 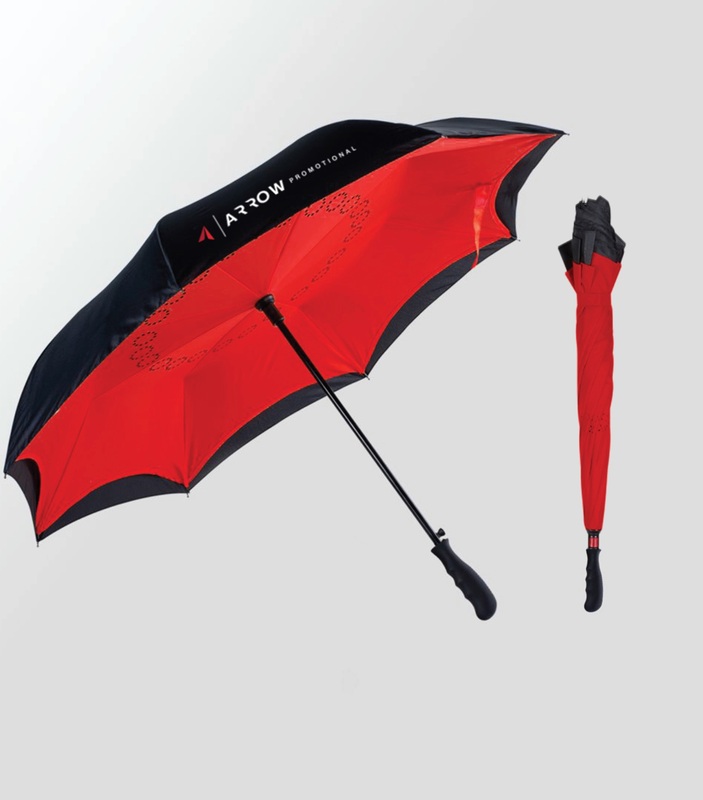 83% of consumers say they'd keep a promotional umbrella because it's useful. This particular umbrella is different than any umbrella you’ve seen before! It's unique design auto-closes away from you, thus keeping you dry when closing! 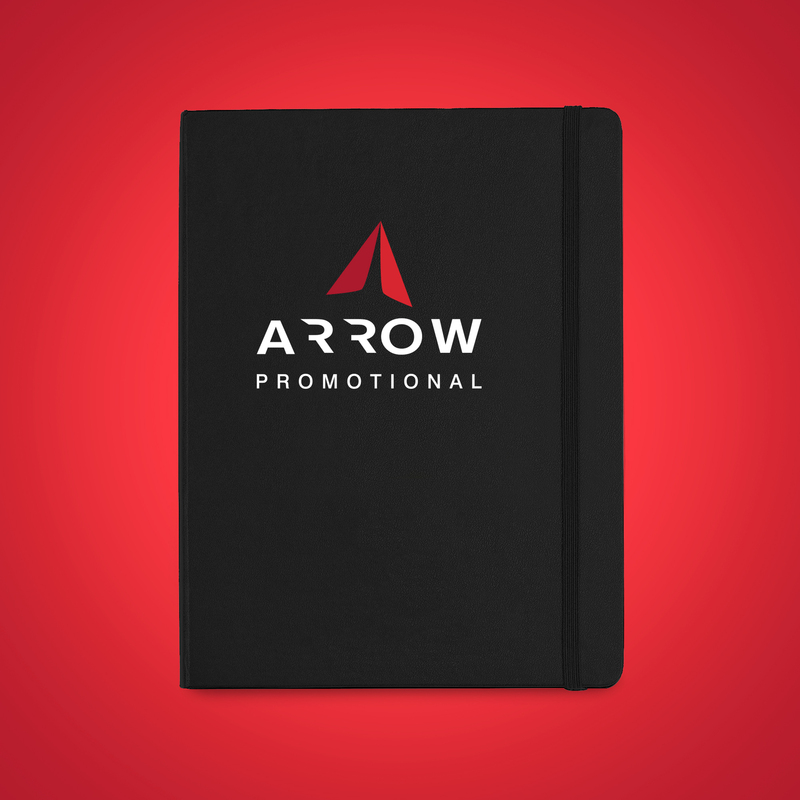 Journals are great promotional products! They are very practical gifts for new hires, sales meetings and conferences. They make a perfect pair with branded pens, too! 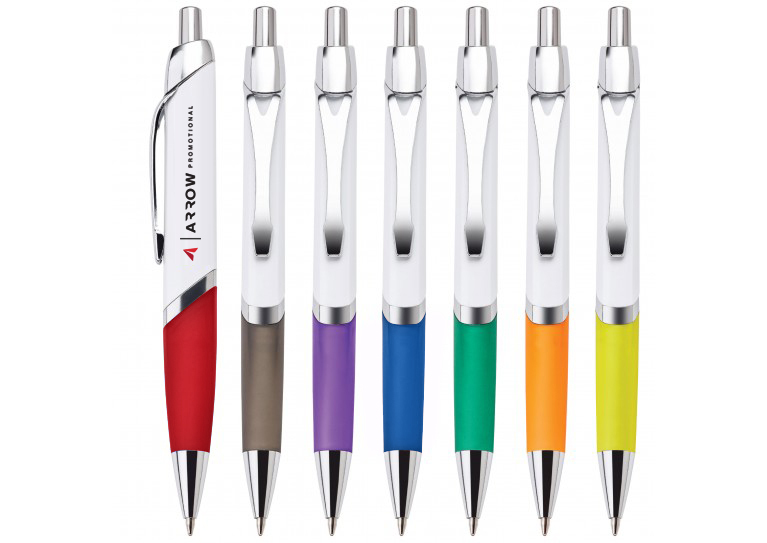 Pens are a classic promotional product! 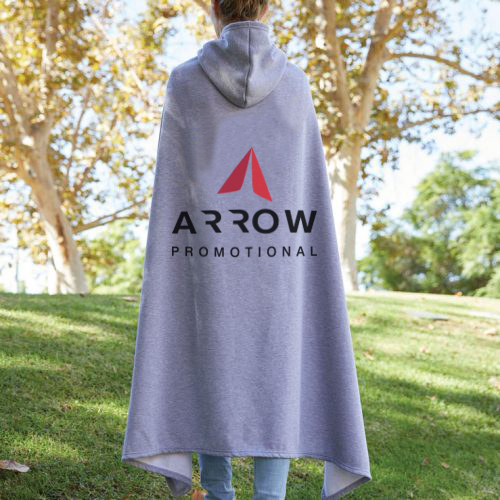 They have the lowest cost per impression of any promotional product in the U.S. We have many different pen options for you to choose from and some awesome new colors! This is the ultimate game day accessory that you can wear and wrap up in. It has 1 button at the neckline for easy on and off, plus a convenient hood to help cover you up in cool weather. 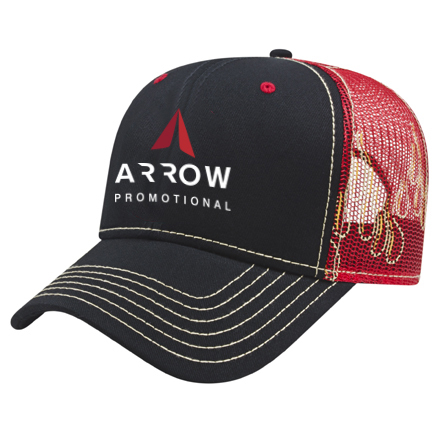 A cap like this is perfect for the warmer seasons! Wearables are the top selling promotional product category. Not only do consumers like them, but when your receivers wear them, you continue to gain more exposure and brand awareness! 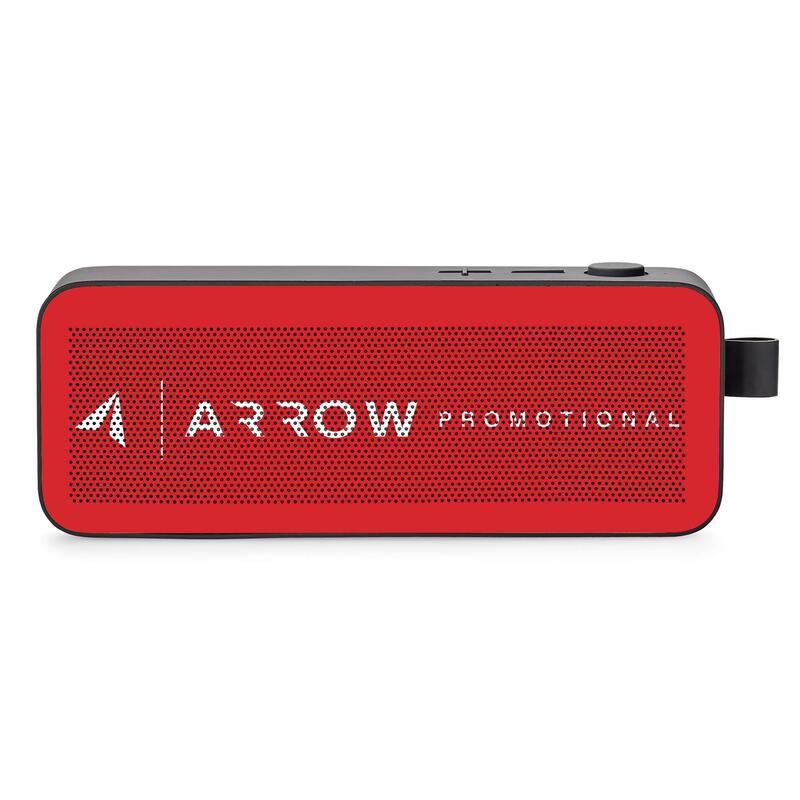 Take your music anywhere with this Bluetooth portable speaker! Tech products are very trendy right now, especially Bluetooth technology. Amplify your music and your brand! You won't believe how soft this fleece blanket is! Keep it in the office for when the office air conditioning is blasting or bring it home to cuddle up with on a cold winter evening. 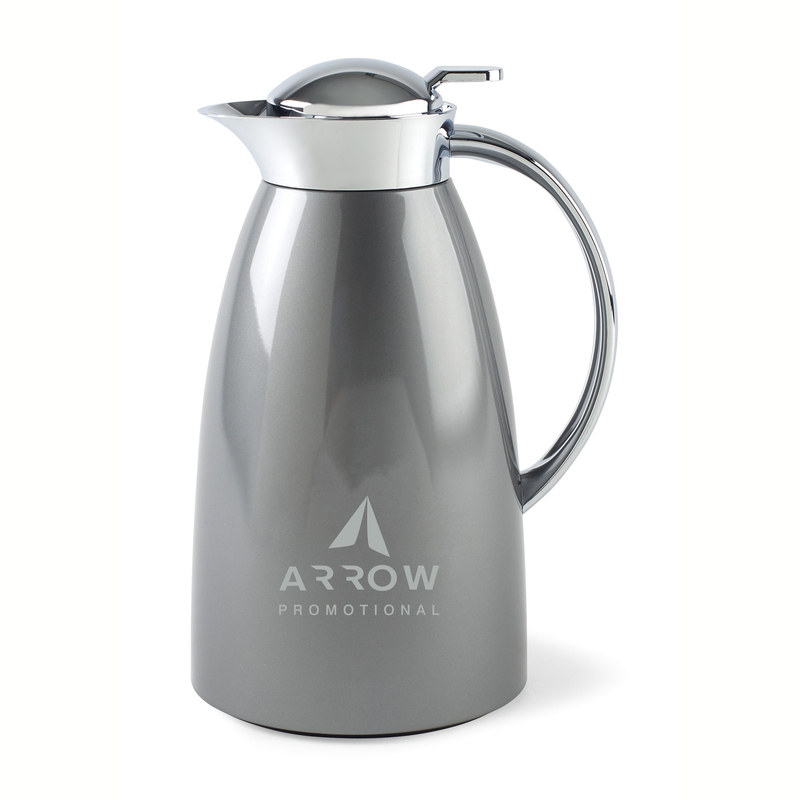 Whether you want to serve coffee or iced tea, this hot/cold pitcher has got you covered. With the ability to serve both temperatures, this item is perfect for everyone, everywhere, during every season! You can keep them in the office or give them out as gifts! Everyone loves chargers because you can never have too many of them. 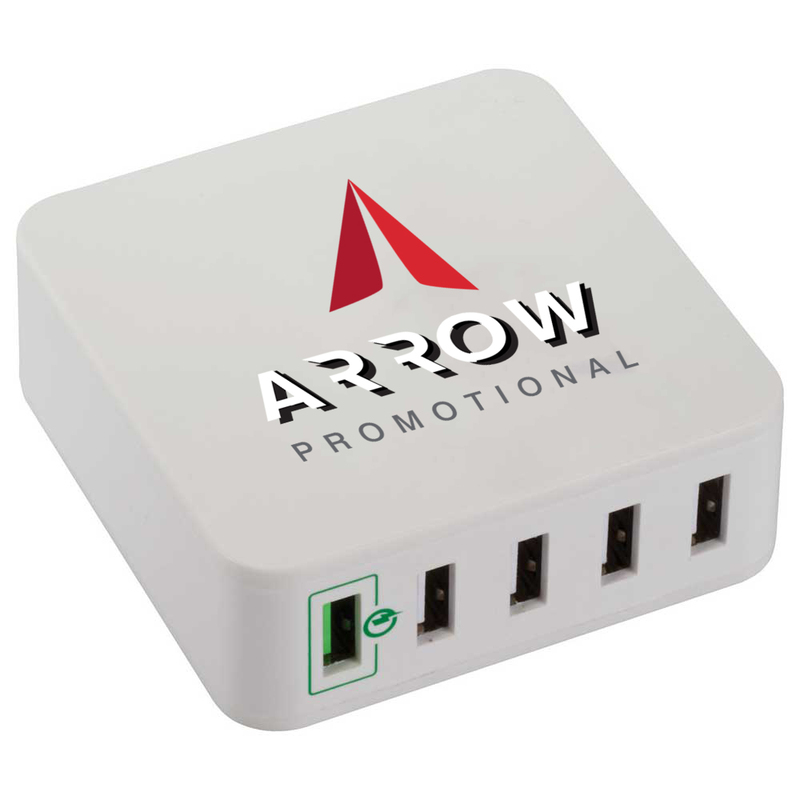 This charger is particularly popular because you can charge multiple devices at once. No more comparing battery percentages to win access to the charger with this great item! These ten items are just a starting point. There are many different options to choose from, just like these, that vary in price range and that have different turnaround times. Let us help you with the process. Contact us and we'll talk with you about your next project! We're here to guide you to the right products based on your goals, timeline, and budget.